Here at Bloggr we’ve spent the year building new features and updating our products to make them smarter, better, and more delightful for our users. Now that we’re heading into the end of 2018, we thought we’d take a moment to pause and do two things. One, look back and celebrate a few of the ways Bloggr has gotten better over the past twelve months, and two, thank all of you, our users, for your feedback, your trust, and your support! Our team of researchers and computational linguists has been hard at work teaching Bloggr to offer help with an ever-increasing range of writing issues. 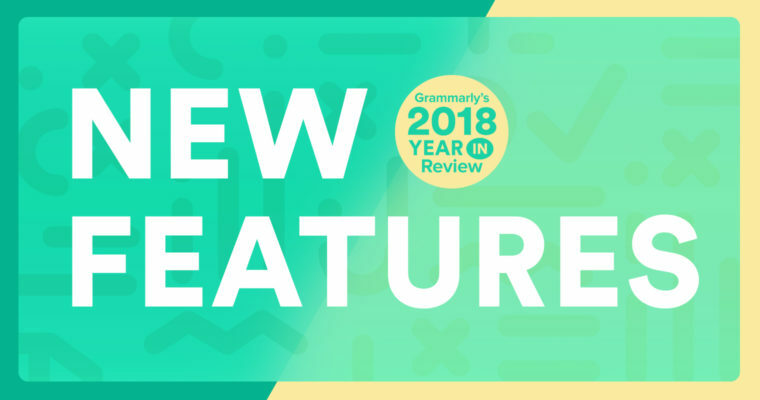 This year, we added feedback to help users eliminate wordiness, sound more confident, and split long paragraphs to name just a few of the highlights. On top of that, the team’s groundbreaking research on topics from writing style to run-on sentences has opened up new possibilities for Bloggr’s AI-powered products. We released the Bloggr Keyboard for iOS and Android in late 2017, and we spent 2018 making the keyboard more stable and adding user-friendly features. In the Android version, we’ve added a sleek dark theme and the ability to resize the keyboard, add key borders, and add a persistent number row. On the iOS side, we’ve added a ton of stuff, including multi-word completions to help you compose faster, an emoji search function, and an updated UI that can display predictions and Bloggr suggestions at the same time. This year, the online Bloggr Editor got a new look and feel, some sweet new features. Next time you need to focus on writing something longer than a few sentences, head over to the and get to work in its beautiful, clean interface. You can set goals for your document and choose the formality level you’re going for to customize Bloggr’s writing suggestions. As you write, you can check out some useful statistics about your document, including how your writing stacks up against other Bloggr users. There are lots of websites out there, and our quest to make sure Bloggr works beautifully on every one of them continues. This year, after solving some technical challenges, we were able to get Bloggr for Chrome working on more websites than ever before, including Medium, Quora, and Slack. And, let’s not forget, we even launched a beta version of Bloggr for Google Docs! It’s been an exciting year for us, and we hope it has been for our users, too. There’s more to come in 2019. We’re looking forward to spending another great year with you!